Back to the basics with this quick little four-quadrant maze. 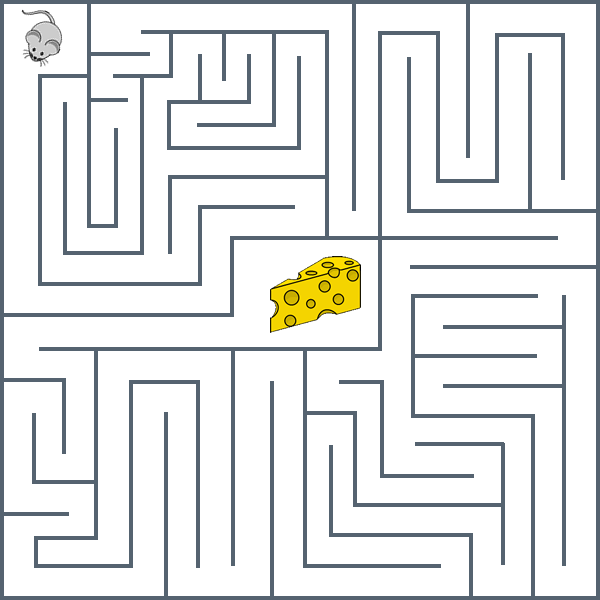 Help the mouse find the cheese. 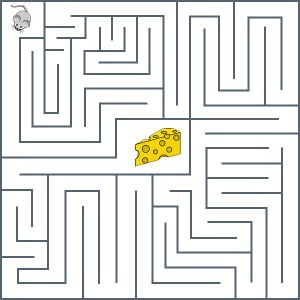 Maze 13 is a finger/mouse/stylus maze. Use any of those tools to draw your own path (while at the website.) This is a fun one for the little kids.